I'm trying to be more "adventurous" with my hairstyles and experimenting with looks that go beyond the simple straight-down style. After washing my hair I tested out a take on the milkmaid braid that consisted of making two French-braid pigtails and then pinning back the ends at the nape of my neck. I thought it looked pretty cute and while it didn't turn out perfect the first time I will definitely try this hairstyle again. Plus, it gave me cute beachy waves since my hair dried in this hairstyle. 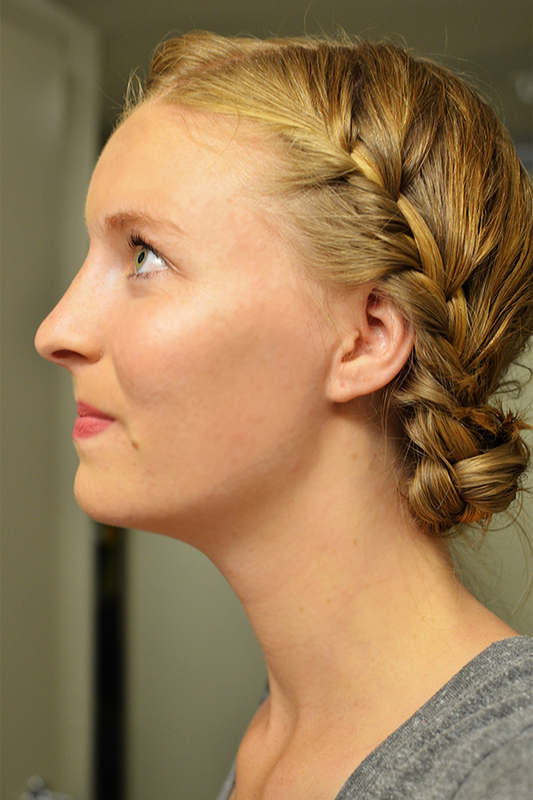 Would you ever try milkmaid braids? What hairstyle should I test out next?